As the new semester coming up, I reorganized my study space in my room. 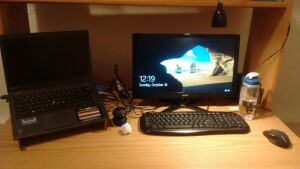 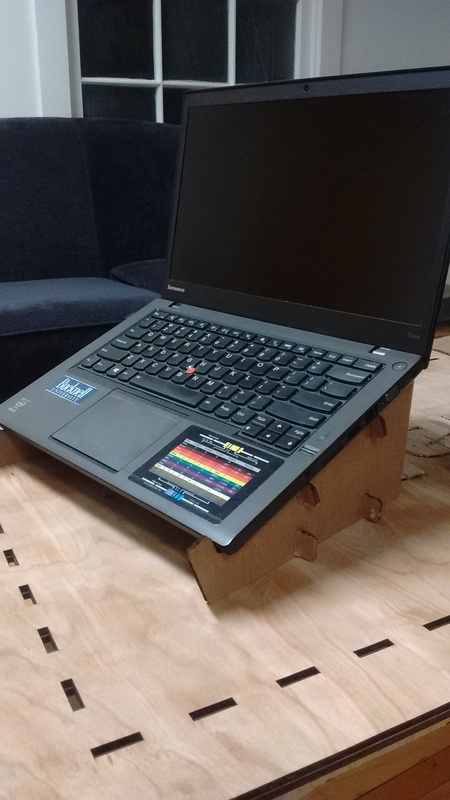 One of the thing I need is a laptop stand since I am getting a new monitor and keyboard. 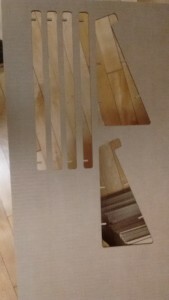 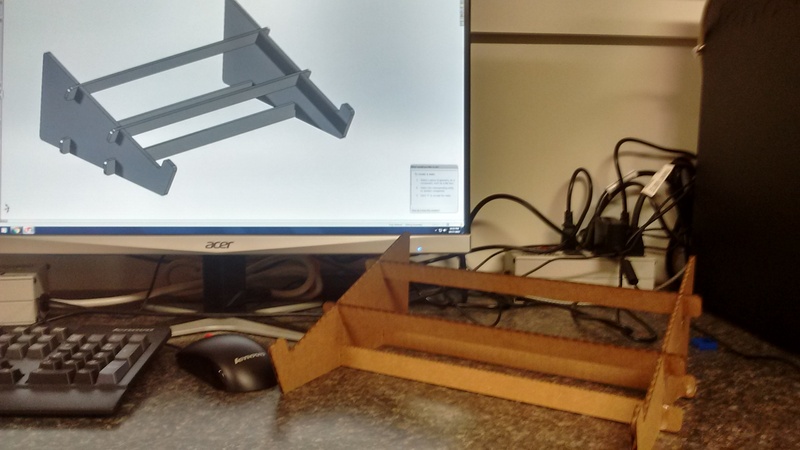 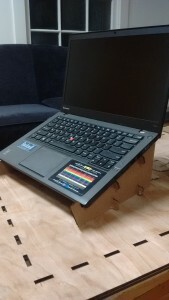 So, I designed my own laptop stand on SolidWorks and used a laser cuter to cut out cardboard pieces. I assembled it using hot glue.